The city of St Albert lies in the northwest part of Edmonton by the Sturgeon River and is the 2nd largest city in Edmonton Capital Region. As per 2016 census, the population of St Albert is around 64645. There are many events in Spruce Grove that you may find attractive and filled with loads of fun. These include Mambos & Mocktails jazz concert, St Albert Rotary Music Festival, Harvest Festival, Kinsmen Rainmaker Rodeo etc. You may get passenger travel services at nearest Edmonton International Airport. St Albert Heliport provides air services locally to the north part of the city. The St Albert Transit provides public transportation in St Albert and runs many routes daily locally and to Edmonton. Some of the main attractions in St Albert include Children’s Bridge, St Albert Place, CN Train Trestle, Celebration Garden and Perron District. The above table shows a comparison of home insurance prices by some insurance providers in St Albert. Squareone Insurance had the lowest average annual price at $1240. The next lowest quote was by TD Insurance at an annual price higher by $255. SGI Canada had the highest quote at $1820 which was 32% higher than the quote by Squareone Insurance. The next cheapest quote was by RSA which is higher by $75. Just minutes away from the booming Edmonton Capital Region of Alberta is the city of St Alberta. This city has over 24000 properties for residential purposes and unemployment levels are at just four percent. The average household incomes in St Albert is in the topmost brackets in the country when compared to other cities at $136000. Though winters are pretty cold, you may see a lot of sunshine throughout the year. There is a selection of good schools that are not crowded with too many students and the quality of life is very good too. There is a multipurpose facility, the Servus Credit Union Place, that attracts tons of visitors every year. The crime rate is also on the lower scale and you have access to lots of walking trails, parks, locally grown healthy fruits and vegetables. This city suits young families as well as those who are on the lookout for a peaceful and tranquil retirement life. As the 6th largest Albertan city, there are plenty of popular neighborhoods for all types of demographics. This neighborhood is in the southeast part of the city and is well established with schools and shopping options nearby. The average prices of homes in this area were around $387000. A beautiful neighborhood in the center of St Albert, it is also one of the oldest. Recent upgrades, infills, and redevelopment have made Braeside livable. You may pay around just under $400000 for a home in Braeside. 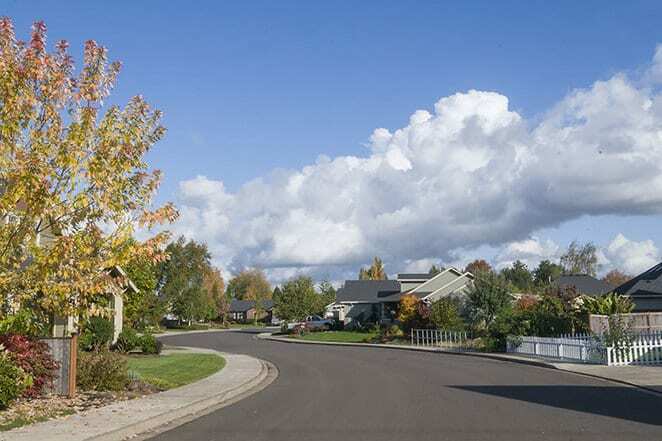 The neighborhood is very suitable for families with larger homes and newer properties. There are lots of schools, playground, and upgrades in this area. The average price of a house here could be around $418000. Located at the center of the city, the downtown core has a lot of upgrades and it also near the library and city hall. The St Albert Public Farmer’s Market is held in this area every year in summer. This neighborhood is in the north part of the city and is popular among families. You may find larger and new homes here. The average cost of a home in this area is around $511000. Situated in the central eastern part of the city, Forest Lawn has various types of housing options. These include bi-levels, bungalows, and 4 level split homes. There are lots of parks, schools nearby and the Fountain Park Recreation Center offers many amenities. You may buy a home in this area for around $397400. This is another established, beautiful neighborhood in the central southern part of the city. You may find a mix of townhomes and single-family houses here and the average price range is about $401000. There are seven parks and three schools in this area. Located on the east side of St Albert Trail in the central part of the city, this is an upscale area. You may find lots of condos, big homes, and townhouses here. Shopping, healthcare facilities, and other amenities are nearby. The average price of a home in this area is about $603000. The average cost of living in St Albert is around $2700 to $3200 per month for a small family excluding rent. You may pay around $402345 for a house in St Albert. The average price of a detached house in St Albert may be around $396600. The cost of a semi-detached house in St Albert may be around $347800. You may pay around $325750 for a townhouse in St Alberta. The price of a condo in St Alberta is around $287560 in St Alberta. The total tax rate for residential properties in St Albert is 10.426 and property assessors assess all properties in St Albert. They provide an accurate assessment of residential and commercial properties. You may use the tool on the city website for generating a report that shows an estimate of your property tax. In St Albert, the utility department takes care of the distribution of drinking water. They operate 3 water reservoirs, more than 2400 water mains, and over 2000 fire hydrants. The average hydro bill for a small family in St Albert is around $180 to $230 per month. This depends on the household consumption. The climate of St Albert is temperate and cold with lots of rainfall throughout the year with the average temperature around 2.8 °C. Even in driest month, February, there is ample rainfall and annually there is around 466mm rainfall. In July there is maximum precipitation and is also the warmer than other months of the year. The average temperature in July is around 16.9 °C while the coldest month of January may see temperatures dip to -13.9 °C. In St Albert, the average daycare cost is around $12 to $19 per hour for full-time childcare. The average grocery bill for a small family in St Albert is around $275 to $330 as per diet and household consumption.